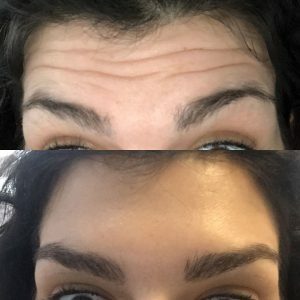 Our core work at SkinRevision is anti-wrinkle injections, providing natural looking aesthetic treatments to prevent or smooth the appearance of wrinkles. Whether you want to correct wrinkles and lines or prevent their progression, we offer a free assessment with our Doctors. Cosmetic wrinkle injections are used to smooth crows feet, frown lines, forehead lines, and help keep your skin looking refreshed. Our Doctors aim for natural refreshed look. Most commonly used to treat upper face wrinkles and lines, anti wrinkle injections can also be used to treat other appearance concerns. Call us on 33505447 to book a free assessment. Anti wrinkle injections have been used in cosmetic medicine for two decades to provide a quick lunch time rejuvenation. 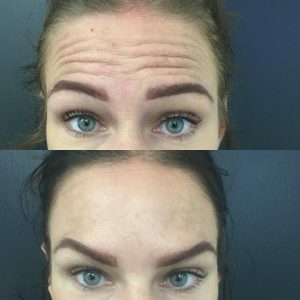 Most commonly utilised for the treatment of eye wrinkles, forehead wrinkles and frown lines anti ageing injections have found a place in many other treatment areas. The anti-ageing properties of cosmetic wrinkle injections work by relaxing muscles which prevents the skin creasing on the surface. It is from repeated expression over time that defects form in deeper layers of skin. When we are young, and we frown or smile, the skin springs back afterwards. With time, loss of the skins structural elements of collagen and elastin means these wrinkles and lines become fixed. If left they can deepen. There is a broad range of off-label uses for anti wrinkles injections. 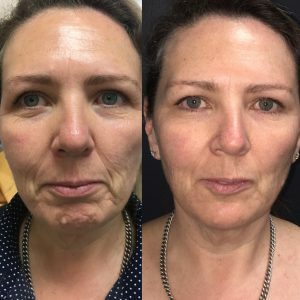 On the face: Anti-wrinkle injections create a non-surgical eye lift, smooth marionette lines, lessen a gummy smile, soften chin dimples, relax bunny lines on your nose, relax teeth grinding or shape your jaw. 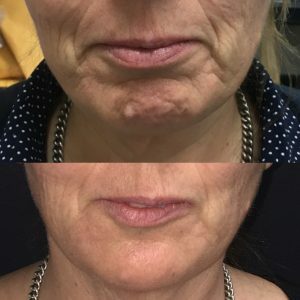 Off the face: Anti-wrinkles injections are used to smooth neck bands, provide a Nefertiti lift and are even used in a wide range of medical treatments. We offer a range of treatments to complement anti-wrinkle injections. Sunny Brisbane, we love our city, but for most of us, our skin does not like the sun. The majority of undesirable skin changes as we get less young are from sun exposure. Anti Wrinkle Injections are often central to a facial rejuvenation plan. However, depending on your concerns and what you are trying to prevent, other treatments may be better, or additive to an excellent outcome. For example, Anti-Wrinkle injections are suitable for preventing or reversing wrinkles and lines. But for pigmentation or freckle removal, you will need a laser, IPL or peels. For fine lines and wrinkles, you will need some form of facial resurfacing. Our team is trained to advise on the best options for your cosmetic concerns. 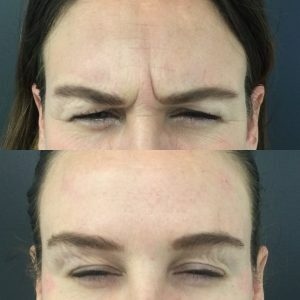 When to start wrinkle prevention? During your 20’s your skin is losing 1% of its collagen per year. Early signs of facial wrinkles, eye wrinkles or crow’s feet, frown lines and forehead wrinkles begin to appear by your late 20’s to mid-30’s. Their appearance depends on a variety of factors including genes, sun and pollution exposure, stress and smoking. Now is the perfect time to start prevention. Once the domain of women, it is now common for men to use anti wrinkle injections (and the full range of cosmetic injectables). 1. Come in for an obligation free consultation, and we will devise a treatment plan for you. You will get an exact quote for the anti-wrinkle injections cost, as well as be able to ask any questions. 2. Treatments are every 3-4 months, so it is worth considering the ongoing cost. 3. You can get the treatment on the day. However, some people prefer to take the time to think it over before you make a decision. We want you to be happy with your decision. If there is an important event coming up, it is best to get any anti ageing injections performed well ahead of time. Not only does this give time for optimal outcome, but also any unexpected issues have time to resolve. The cost of treatment depends on the number of units you require. And how much you need depends on how active your muscles are and what effect you want. Most people prefer a more natural looking result, rather than a frozen look that was popular in the 80’s. The price for a single unit varies depending on the type of anti-wrinkle injection is used. There are three different cosmetic injections available in Australia. This price also varies whether it is our Doctor or Nurse who does the injection for you. We offer an obligation free consultation with both Doctors and Nurse. In this assessment, they will assess your muscle movement and discuss the options. As a ball park figure. 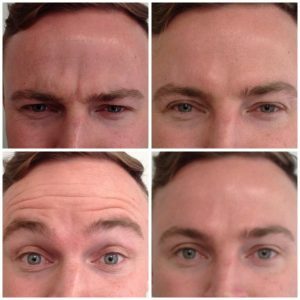 Forehead wrinkle treatments start from as low as about 60. 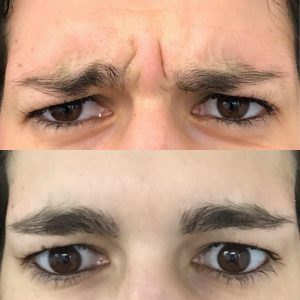 Frown lines start from 190 and eye lines or crow’s feet from 198.
Who Can Prescribe Anti-wrinkle Injections? Anti-wrinkle Injections are prescription medication. It requires a Doctor to prescribe, and you must be assessed by a Qualified and Registered Doctor before you receive treatment. Nurses can inject anti wrinkle injections, and an increasing number in Australia called Nurse Practitioners can prescribe and inject solo. Treatment should occur in an appropriate medical premise. Though these are low-risk treatments, they are not without risk and require appropriate professional standards. 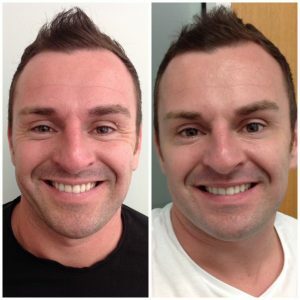 •SkinRevision is a quality clinic located in Chermside, North Brisbane. •We give you an obligation free assessment, before deciding on any treatment. •We provide a friendly, affordable service with attention to detail. •We have been at the forefront of Cosmetic Medicine treatments for over a decade. •Our Doctors continue studying and attending conferences locally and internationally, providing not only safe but excellent aesthetic results. 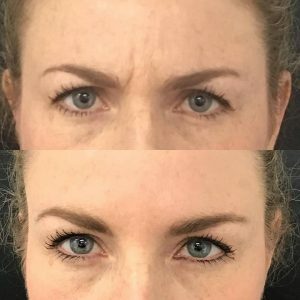 How Long Do Anti Aging Injections Last? Anti ageing Injections injections last three to four months on average. Longevity is individual with some people getting up to 6 months (uncommon). Facial injections tend to last longer in the frown area than the eye wrinkle and forehead area. The reason: the muscles are different. In Brisbane, we squint a lot because our sun is intense. Some suggest this could lessen the duration in the eye area. What are the side effects of Anti Aging Injections? Side effects of anti ageing injections are temporary and minor. Common side effects include redness and swelling in the area, bruising is uncommon because of the size of the needles used but does occur. Headaches occasionally occur, as does numbness or pins and needle sensation in the areas. Very Rarely there can be a temporary eyelid or eyebrow drooping which resolves as the anti-wrinkle injection effects wear off. These can be distressing especially when people are wanting to be discrete about getting treatment. Pregnancy and breastfeeding is a contraindication to receiving anti-wrinkle injections. Our Doctors will run through all of the side effects at their consultation. 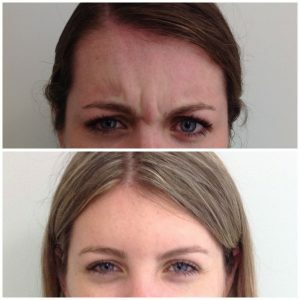 Upper Face Treatment: Anti-wrinkle Injections to frown, crow’s feet and forehead. Lower Face Treatment: Anti-wrinkle Injections to chin (mentalis) plus 1 ml of filler to marionette lines. This lovely lady had significant lower face ageing. 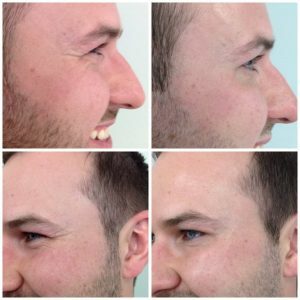 Dermal filler treatment alone would not have achieved this great result. Treatment: upper face wrinkles, relax chin muscles and supplement with 1ml dermal filler.